Thanks to everyone for helping make our first week a great one! With the early dismissal, the delay of the start of kindergarten, and the smoke, everyone has helped out to try and ensure a smooth start for our students. Monday, Sept. 11 is grades K-5 Picture Day and Tuesday, Sept. 12 is grades 6-8 Picture Day. Holland Studios will be in front of the school at 8:15 am both days for those families wanting sibling photos. Sibling photos are taken on a first come-first serve basis. Detailed information on ordering pictures online will be in the Weekly next Thursday. Monday, Sept. 18, we have grades K-2 from 6 pm to 6:40 pm and grades 3-5 from 6:50 pm to 7:30 pm. Tuesday, Sept. 19, we have grades 6-8 from 6 pm to 7:30 pm. We look forward to seeing you! Hi all: For this year, I'll be checking in every week on what I am doing in the classrooms. I will also suggest a topic to talk about at the dinner table, which could hopefully initiate a conversation. In the classrooms, I will be spending the month of September focusing on kindness and team building. We will do some activities and challenges (ask them about the counting activity from last week, it was really hard for some of them) culminating in a collective art project that we will hang in the front hall. The teambuilding will be most intense in the classes that have new students, especially 6th grade where we welcome more new folks than those who have been here. Thomas Jefferson feared the "Tyranny of the Majority" - That 50.01% could rule the others with impunity in a democracy. How do we make sure to respect the rights of minorities in this culture? How could we improve on this? How could each of us, as individuals do better? I encourage you to zoom into race on this, but you could open with minorities of every type to get the ideas flowing. Obviously, adjust for age, but don't dodge discomfort. Embrace it, and as a former professor of mine once said, "Use discomfort as a tool for motivation". Friday, September 8-Thursday September 21 - Winterhaven's Community Service Committee is running a Clothing Drive to provide clothes to the Portland Council PTA Clothing Center. Please bring your bagged clothes to the plastic bins located in the front foyer of the school starting September 8th. All donated clothes are taken to the PTA Clothing Center to serve school-age children and their families in our greater community. Per the Clothing Center website, please try to provide clean, gently-worn clothes that are appropriate for school attendance. 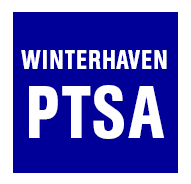 Thursday, September 21 (9:30-1pm) we need at least six volunteers for Winterhaven's assigned date at the Portland Council PTA Clothing Center at Marshall High School: 3905 SE 91st Ave, Portland, OR 97266. For many PPS students, this is their only chance to get new clothes for the season, and it is an incredibly rewarding experience for volunteers. Choose to help families "shop" for clothes or sort incoming donations - if you have the flexibility in your schedule, please consider joining us. If you cannot commit to the full 3.5 hours, think about splitting a 1.75 hour slot with a friend. Email Rebekah Folsom (rsatz@yahoo.com) to sign up for a slot or half-slot (9:30-1p, 9:30-11:15, or 11:15-1p). For example, here is the link to Kids Like Languages: https://www.peachjar.com/index.php?region_id=121440&a=2&b=351965. There is an online form for Parents and families to SUBSCRIBE to the email lists or ADD / CHANGE data in the directory. NOTE: If the directory and your email subscriptions are up to date, you do not need to use this form. MS Electives start the morning of 9/8: We have an exciting lineup of classes this term, including Bartitsu (steampunk martial arts! ), Blindness is a Superpower!, Ceramics, Dungeons & Dragons, Fly Google Earth!, Hunger Games, Modern Musical Theater, Outdoor Fitness, Peruvian / Andean culture, and Snack making. What we don't have is you! A few parent volunteers every session to help our teachers organize kids, field questions, and get them situated, particularly on the first day, are HUGELY beneficial. Please email Barb Fisher (barb@fisherbusiness.net) or Rebekah Folsom (rsatz@yahoo.com) if you are interested in helping out. Season Information: Practices are Monday & Wednesday 4pm-5:30pm @ Sellwood Middle School. Questions: Cluster Coordinator Meghan Eigo: meigo@pps.net, Coach Matt Farley: Farley72003@gmail.com, Coach Amanda Boman: Amandaboman77@gmail.com.